Transformed our old cozy coupe into the ecto1. A lot of spray paint and some pvc pipe did the trick! We ordered lights from Amazon and had decals made too! 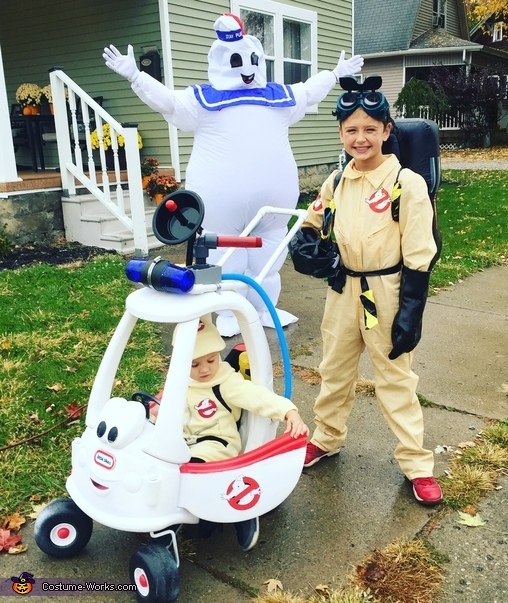 My two sons loved waking around with the theme song playing through a wireless speaker in the back of the car. Dad got the pleasure of wearing the stay puft suit. A huge hit this year!